Many stamp collectors agree: the best way to go about collecting stamps is to do it for fun. Rather than worrying about how much a collection might be worth in the future, a great approach to collecting is not to worry about rare stamp value but to instead focus on finding stamps that you love. A careful and meticulous collector may consider selling a stamp collection in the future and earning a small profit, but this is typically rare unless you enter the stamp dealing business. If you instead focus on the enjoyment of finding stamps and the soothing nature of putting a collection together, your collection will pay for itself in the fun you have with it. A great way to start a stamp collection for fun is to get stamps from easy sources. You can often find packets at dealers and hobby stores that will give you hundreds of stamps at an inexpensive price. With the popularity of stamp collecting as a hobby, you can also often find sources online with exceptional bargains. You want to focus on all-different stamps at first in order to acquaint yourself with different types of stamps. Stamp packets that are labeled as mixtures often have many of the same stamp, which can get boring for a new collector. Stamp tongs are a very important tool to obtain before you do anything with the stamps you have acquired. These tongs differ from tweezers and are specially designed for handling stamps without damaging them. A good pair of tongs will help you preserve a rare stamp value if you ever happen to obtain one. To start out with, you should try and find a set of tongs that do not have a point at the tip so that you do not inadvertently put any holes through the stamps you have obtained. After you have a collection started and have found the proper way to store and manage your stamps, you might try connecting with other enthusiasts to discuss your hobby. 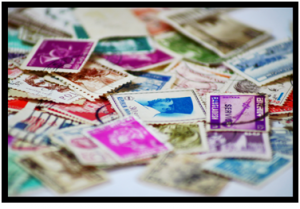 Networking via stamp collecting associations and hobby shops can be beneficial for your collection overall, as you can establish people to trade stamps with. Some people have even networked internationally and have started fascinating collections of international stamps simply through trading common stamps from their own country. Once you have had a collection going for a while, you might develop enough appreciation and enjoyment for stamps that you could try investing. It can be very rewarding to find out a rare stamp value or to locate a top tier stamp that is desired by many different collectors. Stamp collecting for investment is also advantageous in many ways, in that collections are often highly portable and are also fairly private, making them a good storage for your wealth. The best way to start, however, is to find stamps that catch your eye due to unique beauty or curiosity. Once you have developed an appreciation for stamp collecting as a hobby, you can grow your collection in the manner you see fit.